Can you make a good war comedy? Dark humour is genre to itself and one that would lend itself well to war but when you examine the evidence, there are very few decent war comedies. The farcical nature of warfare and the often absurdity of fighting for your county, in wars which make little sense or have little meaning to those actually taking part in the conflict, feels ripe for parody but it is a fine line to tread. If you go too far into the farcical it becomes less about war and more of a spoof while if you try to keep the violent, darker nature of war, it doesn’t really feel like a comedy at all. There are a few examples of decent war comedies but when you examine them they don’t really feel like war movies. 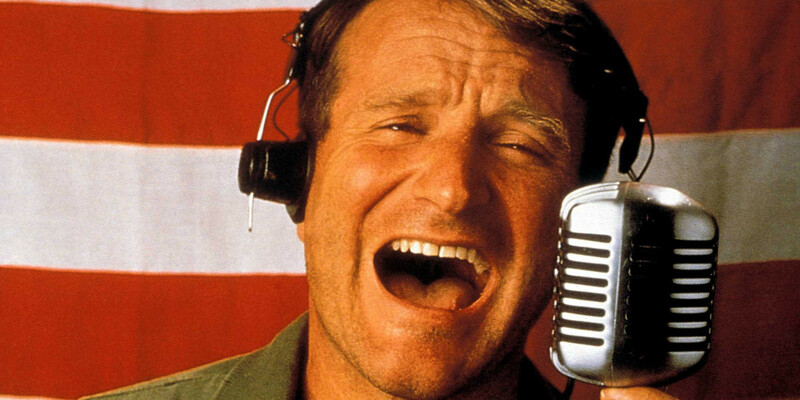 Good Morning Vietnam is one of the better war comedies, mainly because of Robin Williams and his ability to bring great humour to a dark period of world history. Aside from the odd montage of soldiers listening to his radio show, the actual Vietnam war which is the setting of the movie, doesn’t impact that much on the story. The same can be said for other war comedies which are considered classics. I wasn’t impressed with M*A*S*H but many are. When you look at the movie, it is about a war hospital, not particularly the actual conflict. It is also a movie which treads the thin line between death and humour, somewhat successfully but with a foot into the surreal and exaggerated rather than any real life accounts. A lot of movie find the comedy of war in the training rather than the conflict itself. Taking inept and unsuited recruits and turning them into fighting machines is ripe for comedy. Bill Murray’s Stripes is an example of this with the training being much funnier than the actual fighting and battle scenes that make the finale of the movie. The other way of presenting a war comedy is setting the events around the war rather than immediately in it. 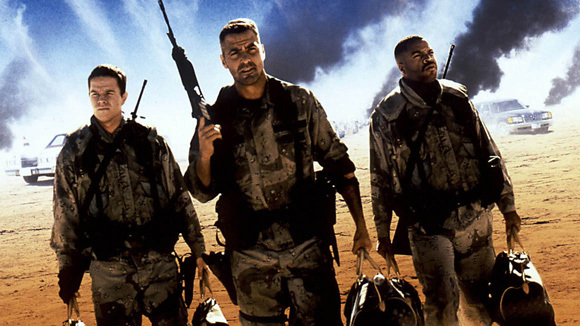 Charlie Wilson’s War, Three Kings or Dr Strangelove are all about a war but without being about the conflict. At least two of these are comedy dramas too and maybe that it the most successful way to present your humour. That is where war comedy becomes more successful, when the humour is clearly secondary. Jarhead, The Hurt Locker and Kelly’s Heroes are all dramas with a vein of humour running through. They are not comedies but when funny moments do happen they feel much more real and a more effective. It seems if a movie tries to be funny, it becomes much more farcical than actually real. You could argue that there is nothing funny about conflicts themselves which is why you don’t get war comedies set directly in the battlefield. It is difficult to find the humour within death and also inappropriate. This means you are forced to distant yourself from the actual conflict and place your funny story on the periphery, becoming less of a “war comedy” in the process. Overall, it is possible to make a good war comedy but only if the war is a secondary element. If the movie is about the training, stealing gold while war occurs or how rubbish the leadership is then it works very well. The best way to make a war comedy seems to by creating a drama and adding the humour to the real-life, often shocking situations. Thank you very much. I will gladly oblige as soon as I can!